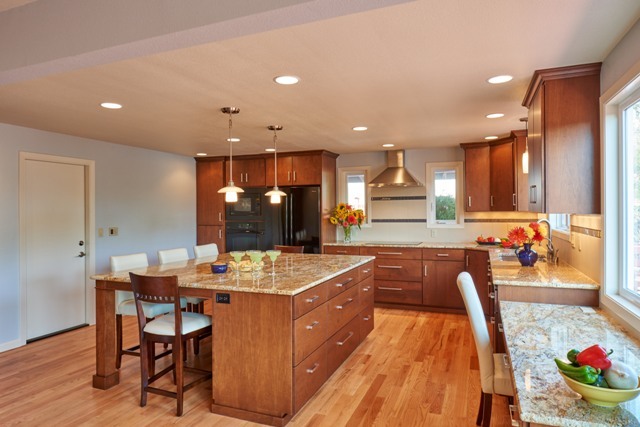 This beautiful North Corvallis home gained an open feel without adding any square footage. Many clients have homes with similar layouts, and desire a more open and modern living/entertaining experience. This transformation is a great example of how joining existing rooms can have a big impact on the function of a home’s core living spaces. The home previously had a small galley kitchen, a carpeted dining room, and a family room with a fireplace. 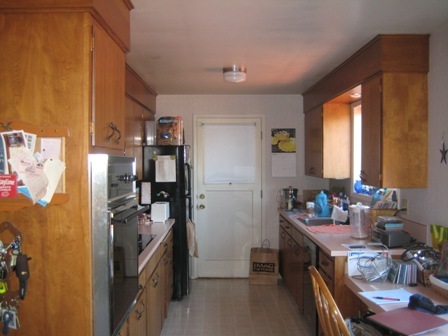 The homeowners found all these separate rooms to be inconvenient. 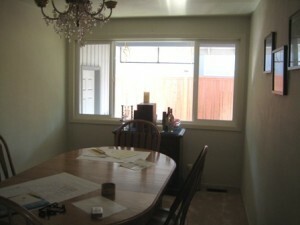 Plus, they found that they never used their dining room. 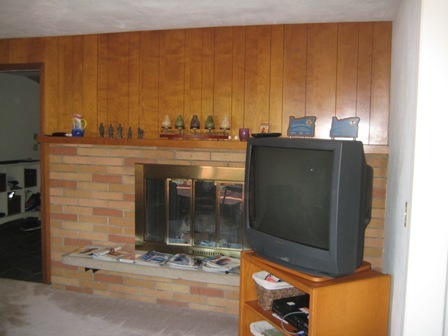 The existing finishes appeared disconnected and dark with wood paneling, older brick, and carpet in hard to clean areas. 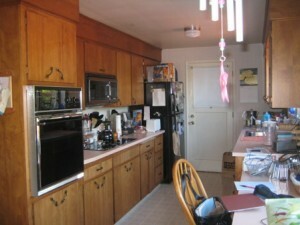 The family desired a larger kitchen for entertaining and storage, an open flow between rooms, and hardwood throughout. 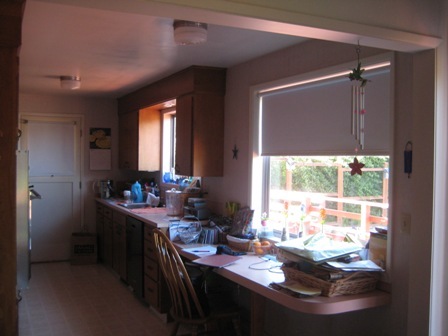 To open up the home, we removed the wall between the kitchen and dining room and also expanded the opening in the wall between the kitchen and family room. 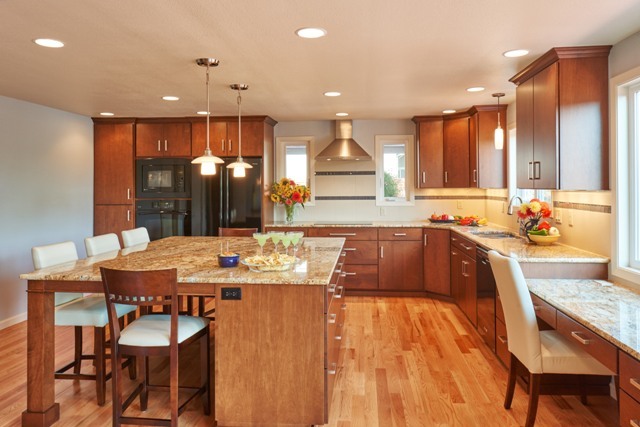 Custom maple cabinets, Geriba Beach Granite, and red oak floors were installed to add warmth to the design. 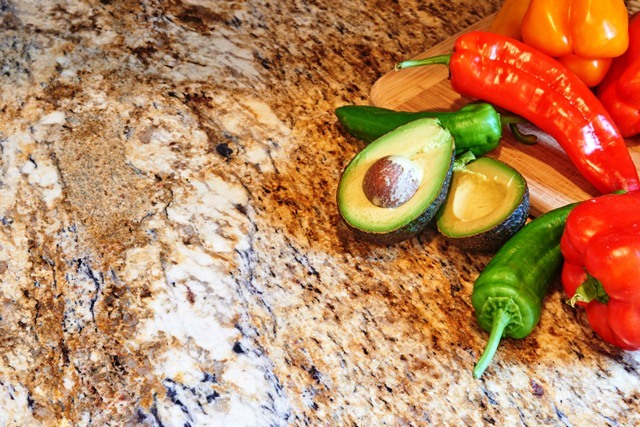 The play of natural colors in the kitchen is inviting, and starkly contrasts what was there prior. Adding windows into the backyard gives the kitchen more natural light, while improving the view of the unique tiered back yard, thus providing a great opportunity for the homeowners to showcase their award-winning dahlia collection. The generous island seats six and serves as the dining room table. The pendant lights over the island by Quoizel in their Uptown Living Collection add whimsy and modernity to the kitchen, as does the Sonneman Candela Tulip pendant over the sink. The stainless steel Broan hood complements the pendent fixtures and the Schuab cabinet pulls. After all this was complete, there was still one aspect of the home that needed a facelift. 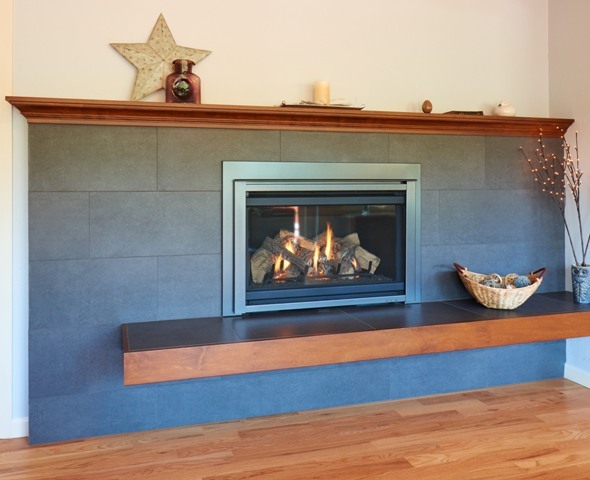 We then updated the fireplace to match the cabinets in the kitchen. This provided a unifying flow between the spaces. 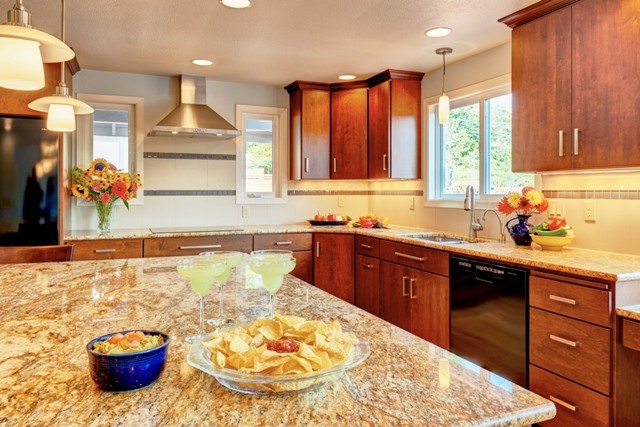 The end result is an open and bright kitchen that is connected to the rest of the home, with warm finishes and modern amenities throughout!